Modern jewelry is quickly taking the place of traditional pieces, with good reason. Titanium is valued for its durability, modern aesthetic and comfort. Titanium is especially popular in men's wedding bands, partly because of its industrial history, though many women's wedding bands are also available in titanium. Titanium wedding rings are everywhere, but how do you know if they are right for you? 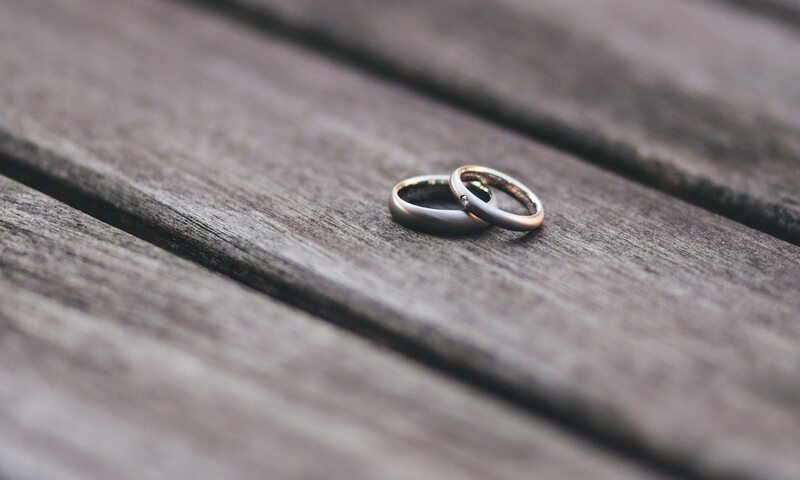 If you have questions about titanium wedding rings and titanium wedding bands, consider these tips on titanium jewelry before shopping. Titanium is light grey and can be polished to a shine or textured for a matte finish. Titanium wedding bands are lighter in color than tungsten wedding bands and stainless steel wedding bands, and they will generally be more matte than platinum and gold wedding rings. Titanium jewelry is a very comfortable wedding ring choice because it is so lightweight. This feature makes titanium popular in both men’s wedding bands and women’s wedding bands, especially for individuals who are not accustomed to wearing a lot of jewelry. Titanium is very affordable in the wedding jewelry category. Titanium wedding bands are generally more expensive than stainless steel rings and less expensive than gold rings. Titanium tends to be much more affordable than platinum. Titanium is also a good investment because it lasts and maintains its appearance for a lifetime. Titanium is known for its durability. Titanium wedding bands are scratch-resistant and will not bend, break or melt under any normal conditions. Titanium does develop a natural oxide layer over time. This layer can be polished off if you prefer. Titanium can be engraved with laser engraving tools, which many professional jewelers possess. Titanium wedding bands are easy to care for. You can clean your titanium jewelry at home with a simple solution of soap and water or simply polish your titanium wedding rings regularly with a soft cloth. Titanium jewelry can also be cleaned in an ultrasonic jewelry cleaner and polished by a professional jeweler. You do not have to sacrifice style when you choose a titanium wedding band. Titanium wedding rings are available in both plain designs and intricate styles. Many titanium rings have diamond embellishments and gemstone settings. Some titanium wedding bands are decorated with gold, and titanium can also be anodized to add color to the jewelry. Blue, purple, green, pink and red titanium rings are available.